A Rhode Island mother is suing the Ocean Community YMCA after she was allegedly asked to stop breastfeeding on the premises. Here's what you should know. Elizabeth Gooding says she became a victim of breastfeeding discrimination at the Ocean Community YMCA in Rhode Island. "I was in the 'Kids Corner' center at the YMCA, breastfeeding my one-year-old baby, when a child care worker exclaimed, 'You are not allowed to breastfeed here.' 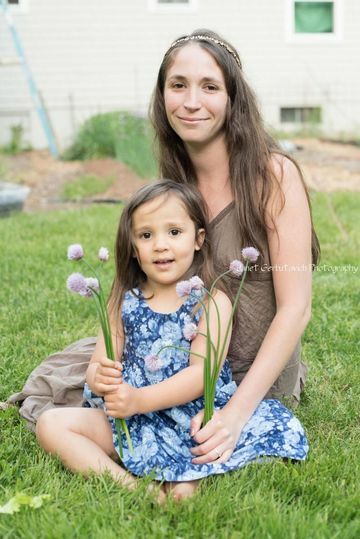 I immediately cited [Rhode Island] law allowing mothers to breastfeed openly wherever they are publicly allowed to be," Gooding wrote in an open letter about the incident, which she emailed to Fit Pregnancy. "In response she offered no apology for violating my civil rights, but instead continued to declare that breastfeeding is inappropriate around young boys. Breastfeeding laws enforce my legal right to nurse in public despite what personal opinion may be. Not only am I legally able to breastfeed, but I am also permitted and protected to do so openly, uncovered, and wherever I am publicly allowed to be in accordance with Rhode Island state law. If a mother cannot feed her baby in the daycare of a family establishment, where can she nurse?" But the story doesn't end there. After speaking with the facility's director, Gooding allegedly met with the Ocean Community YMCA president and CEO to request that she remind staffers of the law. According to Gooding, the president denied her request. "My request for a breastfeeding policy in accordance with state law to be mandated along with a breastfeeding sensitivity and education training was not granted. At the end of our meeting she asked me to be discreet if I were to breastfeed in her establishment," Gooding wote in the open letter. "There were numerous chances for these workers to take the essential steps to remedy this issue. They were given the opportunity to use their influences to make the necessary changes to ensure this problem would end. None of them made any attempt to cease the discrimination. Their responses in my search for justice only added insult to injury." Gooding—who is a former YMCA employee—also told us there have been 40-plus instances where mothers were asked to stop breastfeeding or move while nursing at various YMCA locations. Fit Pregnancy has reached out to Ocean Community's YMCA for comment. Since public breastfeeding laws have been enacted in nearly all states—and since the YMCAs themselves offer many classes and programs geared toward young families, the allegations of discrimination are particularly troubling. The ACLU filed the suit on Gooding's behalf. "Following the extremely upsetting incidents of breastfeeding discrimination at the YMCA, I made a choice that I would take a stand in hopes of enacting effective change in support of one of our most natural civil rights. I encourage women who face breastfeeding discrimination not to be silenced but to raise your voice," Gooding said in a statement put out by the organization. Gooding is also hosting an event in the hopes of bringing about change—she's encouraging mothers nationwide to organize nurse-ins at their local YMCAs in support of this cause. "We need a national policy change at YMCAs in response to not only my incident but the 45 plus others as well," Gooding told Fit Pregnancy. "With public pressure for required breastfeeding education training and policy change we can put a end to the repeated discrimination against mothers and babies at YMCAs across the U.S."
Have you ever had someone tell you to stop breastfeeding in public?